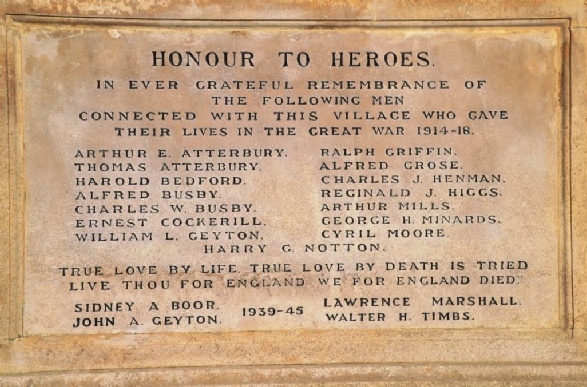 Secondly we wanted the names on the Cogenhoe War Memorial to be known as more than just names. We wanted to reveal them as people, as young men with mothers and fathers, sisters and brothers, with girlfriends, indeed some with children. We wanted them to be seen as people with careers, with hopes and aspirations, with loves and hates and with their own characters, full of strengths and weaknesses. We wanted to see them as people. We wanted to ''bring them alive again'' albeit for a few moments, so that we could better appreciate the loss when their young lives were cruelly cut short. ln the following pages we hope we have gone some way to achieving those objectives. The War Memorial Project has fallen into two parts. The first was essentially physical - to refurbish the Village War Memorial on the Green so that the men who died could be proud of it. This was achieved in November 2014 when Mr Michael Maynard of The Headstone Cleaning Company brought his considerable skill to bear in cleaning, polishing and re-etching the stonework and the names on it. He has successfully removed the ravages of time. 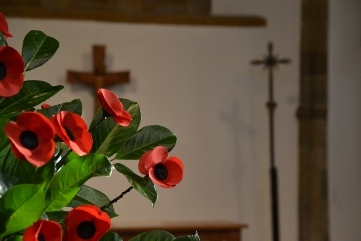 ln this endeavour, the Society was supported financially and in other ways by the Cogenhoe & Whiston Parish Council, the War Memorial Trust and the Cogenhoe Parochial Church Council. We are grateful to all of them. The second part of the project was the researching, writing and publication of this tribute. For the extensive research we thank Diane Ovett and Terry Coles ably supported by Alan Jukes, Richard Deacon and other members of the Society They trawled through all the available documentation and left no stone unturned. 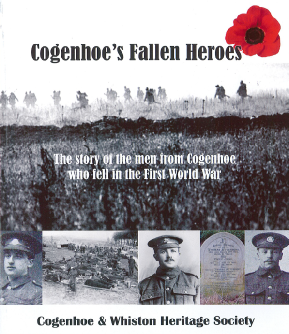 The War Memorial Project was born out of a fervent wish to remember the ultimate sacrifice made by the young men of Cogenhoe in the Great War. This wish was made more pressing by the hundredth anniversary of the outbreak of hostilities in August 1914. The project team had two intentions. The first was that it was of the utmost importance to everybody today that the significance of the First World War should not be lost. Indeed, we wished not only to commemorate the hardship and sacrifices of a previous generation we wanted to promote them, to shout them from the rooftops, to make them more public and more appreciated.